The following blog post is by Peggy Healy Stearns, Lead Software Designer, Fab@School Maker Studio . Valentine’s Day is one of those delightful holidays that inspire love, friendship and gratitude. And if you’re the creative type heart-warming maker projects! 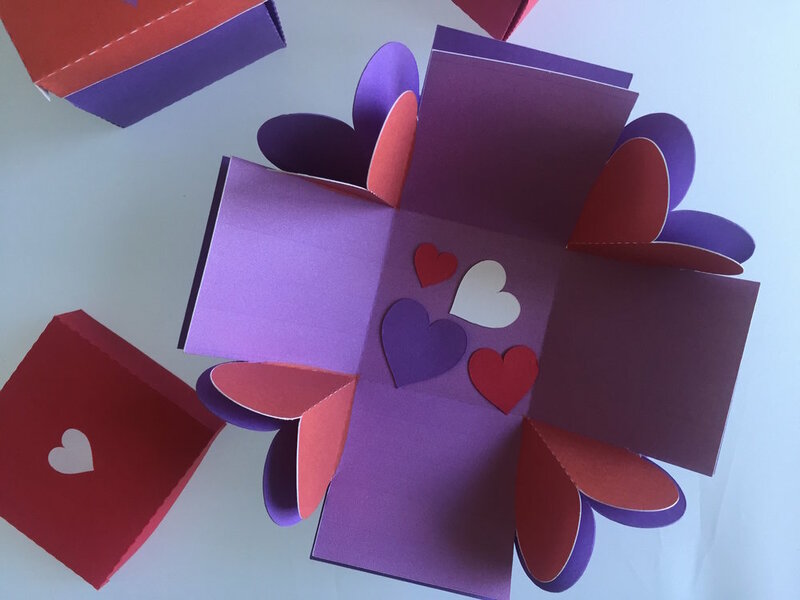 In the classroom, Valentine’s Day gives students an opportunity to design personally meaningful projects for a real audience. Kids are inspired to do their best work when they’re creating for parents and siblings, friends and family. 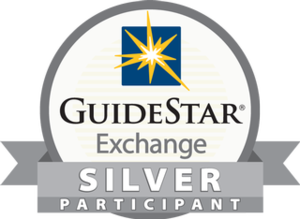 It’s a motivating context with opportunities to address standards across the curriculum. Although the big buzz has been about 3D printing, most of our Fab@School Maker Studio teachers and kids have embraced paper and card stock. These readily available materials are friendly, familiar, and affordable. Design and fabrication is quick and easy, so making mistakes is no big deal. Students are encouraged to explore options, evaluate, and iterate – key to the engineering design process – which encourages creativity, persistence, and resilience. 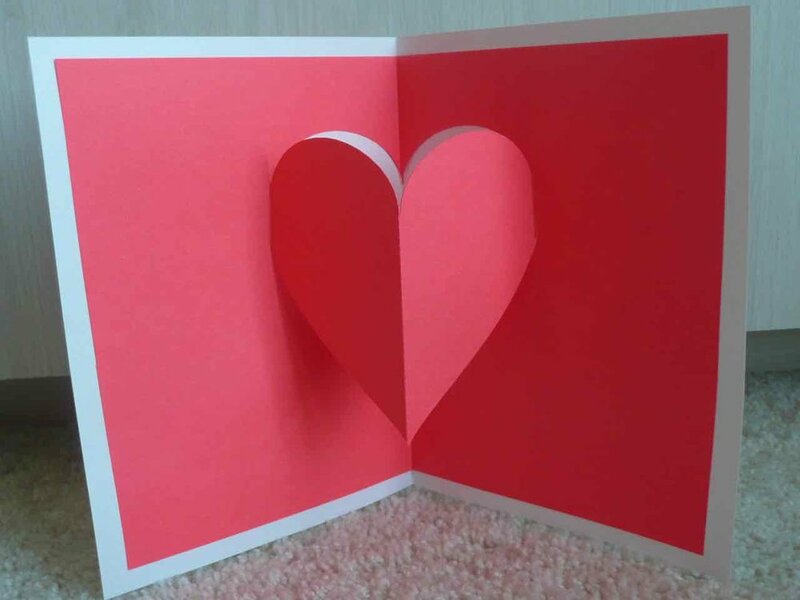 These Valentine’s projects support multiple curriculum standards. There are numerous math connections. Students work with scale and measurement, 2D shapes, 3D solids, angles, parallel and perpendicular lines, and symmetry. They create flat nets that fold into 3D constructions and explore and manipulate faces, edges, and vertices. Integrating circuitry with copper conductive tape, coin cell batteries, and LED lights introduces electricity and magnetism. Language Arts? Of course! Kids compose creative and original messages geared to a specific audience. And like all holiday activities, these projects provide a motivating context in which to explore community and culture. Artistic expression is infused throughout, so it’s full STEAM ahead! Need more rationale? These projects are great opportunities to support the 4C’s – critical thinking, communication, collaboration, and creativity. Some makers are ready to create from scratch, but for students (and teachers) who need a jump start, FabMaker Studio includes dozens of Ready Made projects to fabricate as is, customize, or use as models for original creations. Projects can be colored online and printed before fabricating, or they can be sent directly to the cutter using color or plain paper that kids decorate by hand. The following Ready Made files provide an easy onramp. 2D Stuff: The Folding Heart Note and Star & Heart Cards are popular Valentine’s greetings. Bookmarks and String Ornaments make simple gifts and decorations. Pop-ups: The Heart Pop-up can be fabricated as it or customized. Try adding pop-ups inside of pop-ups, or heart pop-ups of varying sizes lined up on the vertical fold. Of course, hearts are not the only way to say I love you. Many other pop-up designs, like the butterfly and flower, inspire messages of love, friendship and support. 3D Stuff: The Heart Explosion Box is easy to construct and an appealing way to present a treat or note. Since Fab@School Maker Studio was created specifically for the classroom, friendly tools make it easy for students to customize existing projects or design from scratch. 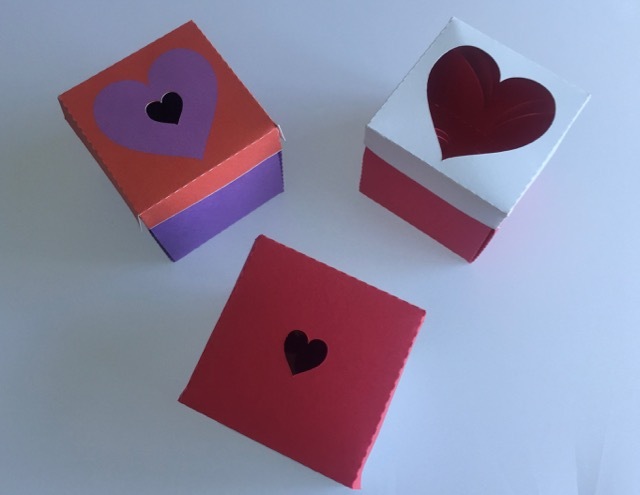 Encourage young users to personalize the Party Favor, turn a 3D solid into a gift box, or customize the Automaton with an animated Valentine’s message. Challenge more proficient users to create an original project from scratch. Share your projects on Facebook, Twitter and Instagram. Tag with #FabMakerStudio. We’d love to feature your students’ work in a future blog post! Check out these earlier blog posts for more inspiration and specific directions.